Ssangyong has revealed its new range-topping Rexton SUV at the Seoul Show. 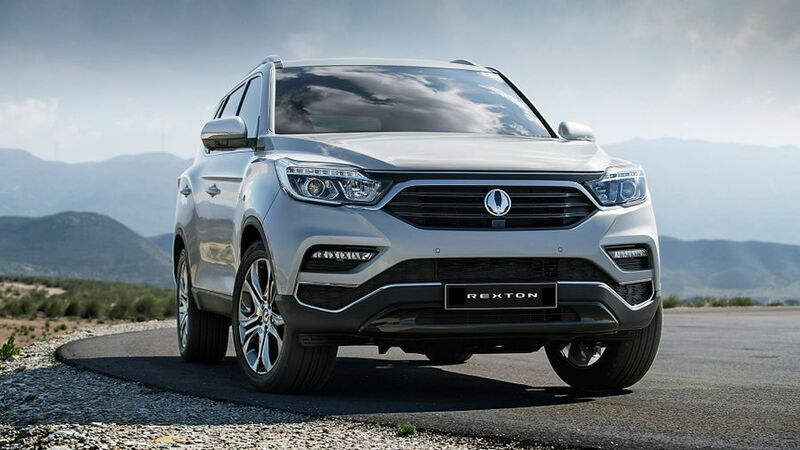 First shown in some preview images last week, the Rexton is looking to emulate the success of the Tivoli, and the styling of the new car is certainly inspired by its smaller brother. That’s particularly obvious at the front end, where the grille is designed to look like the wings of a flying bird, and in the creases along the side of the car. 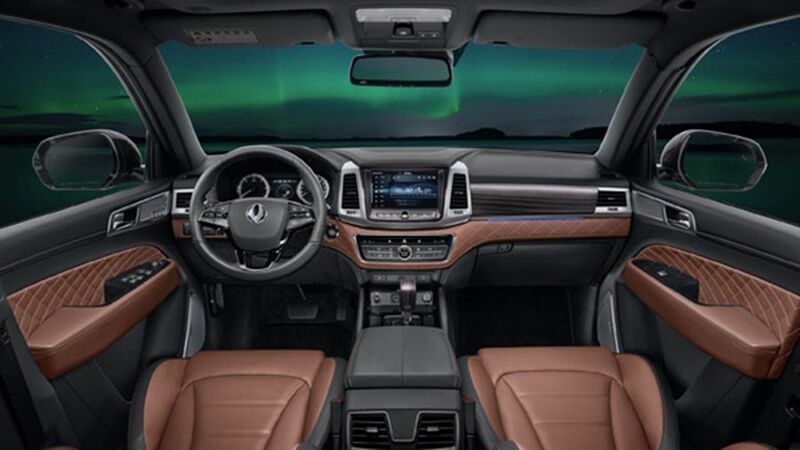 Inside, meanwhile, the cabin can be trimmed in Nappa leather, while the company claims the Rexton will have the largest boot in its class. It will also have the latest in infotainment, with Apple CarPlay and Android Auto, and everything displayed on the centrally mounted 9.2-inch screen. The car also comes with nine airbags, including a driver’s knee airbag and side airbags in the rear. There’s also plenty of safety tech on-board, with the likes of Autonomous Emergency Braking, Lane Change Assist, Rear Cross Traffic Alert, and Blind Spot Detection all available. Buyers will be able to choose between two turbocharged engines, a 2.2-litre diesel, and a 2.0-litre petrol unit. Both come with an automatic transmission, a seven-speed Mercedes automatic transmission with the diesel, and a six-speed ‘box with the petrol. In normal conditions, the car runs in rear-wheel drive, but four-wheel drive (with high and low ratios) can be engaged when needed. According to SsangYong, the new model will be very capable both on- and off-road, as well as being a fine towcar. At 4.85-metres long, the Rexton is a big car, a little longer than the Kia Sorento. As such, we expect the new model will be a rival for the likes of the recently launched Skoda Kodiaq and Hyundai Santa Fe, as well as the Sorento, although there’s no word on whether this new model will be just a five-seater, or whether it will have the option of seven seats. We expect the Rexton to cost from around £30,000. And, although it will go on sale in Korea in the first half of this year, it will be nearer the end of this year before it reaches the UK. Interested in buying a SsangYong Rexton?